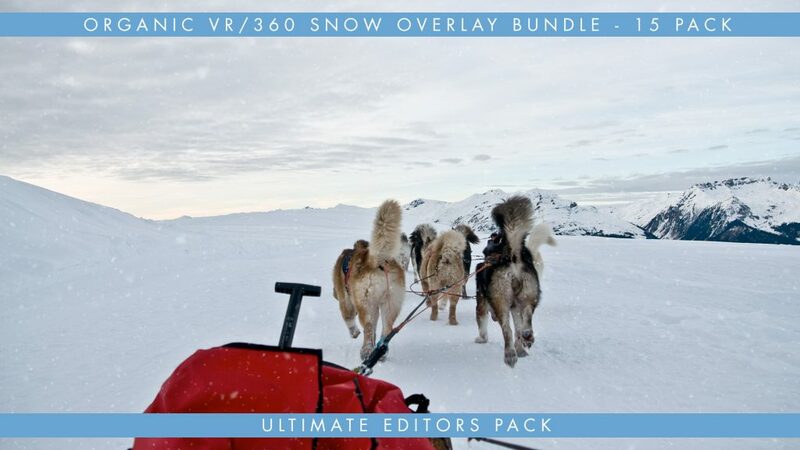 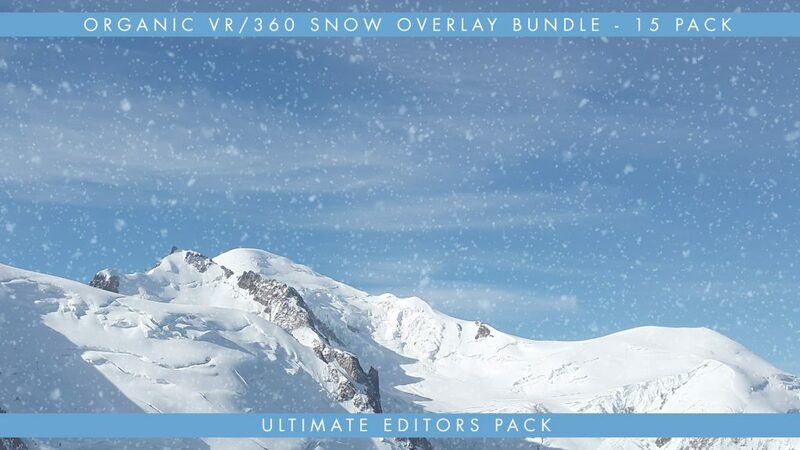 The Virtual Reality Snow Overlay Bundle is composed of 15 high quality seamless equirectangular footage files at various densities & wind angles. 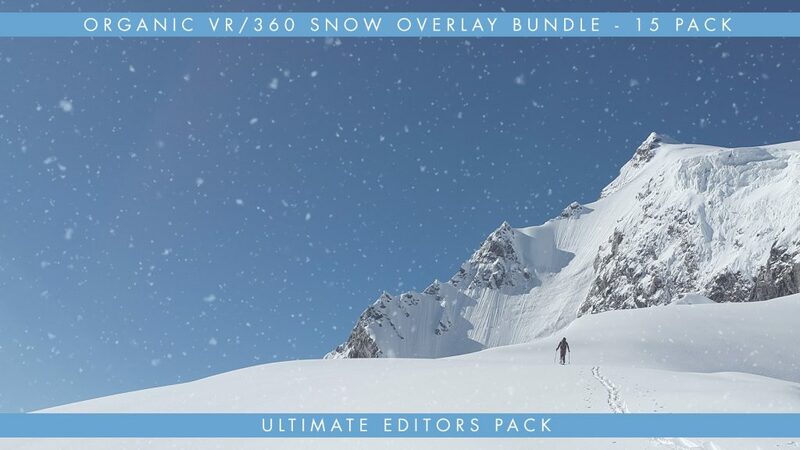 Each footage file is a seamless loop containing a completely unique particle seed that you can flip, rotate, loop and re-time. 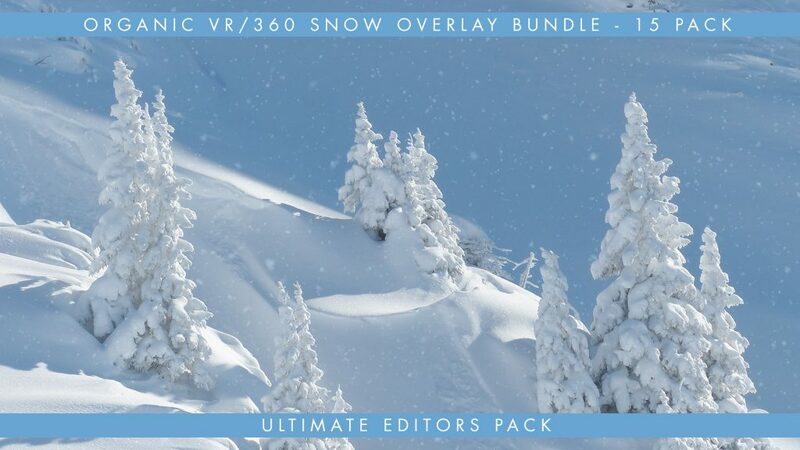 There are literally thousands of output combinations available at your disposal for creating your unique and beautiful final piece. 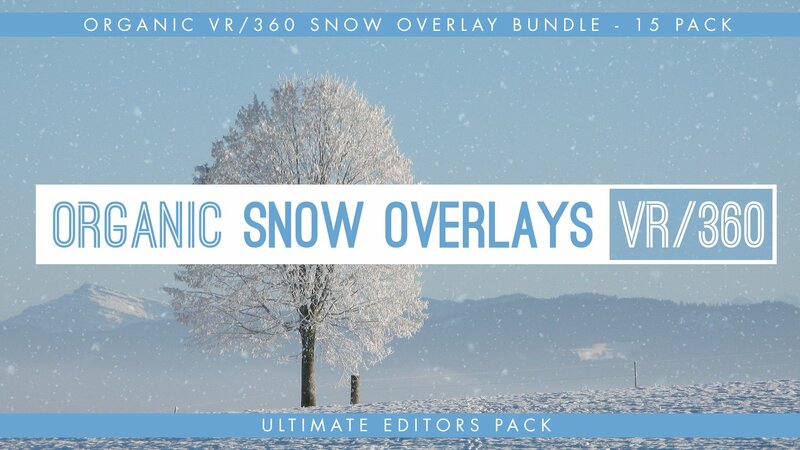 These subtle Virtual Reality Snow Overlays are a very useful tool to enhance your scenes overall look and feel and are perfect for any winter, holidays, Christmas and new year related events filmed in Virtual Reality.